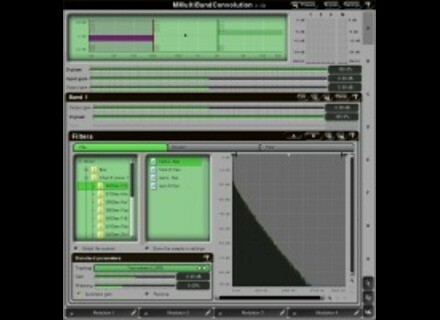 MMultiBandConvolution, Software convolution reverb from MeldaProduction. 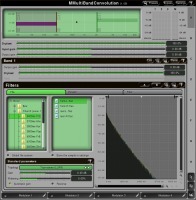 MeldaProduction has MMultiBandConvolution for Windows, Windows x64 and Intel-Mac OS X as VST, VST3 and AU effect plug-ins. MMultiBandConvolution is a zero-latency convolution plugin designed for processing recorded, or generated impulse responses (IRs). Perfect for simulating halls, rooms, boxes, microphones, and even other plugins. It also contains filter generators and an integrated reverb. MMultiBandConvolution comes supplied with several impulse responses, including a limited set of incredible church IRs from www.hauptwerk.cz. Loopmasters Da Lata - Afro Brazil Parade Vol1 Afro Brazil Parade contains 18 Live and Synthetic Bass Grooves, 7 Live Played and 56 Programmed Beats, 30 Raw and Funky Guitar Loops, 20 Keyboard parts, 85Percussion loops (Umbi, Tumba, Shekere, Triangle, Djembe, Whistle, Agogo), 23 Single Drum Samples, and 38 Instrument and FX samples including Guitar, Bass, Bells, Accordian, Sax, Pads and Vocals. Audio Damage Axon v1.1 Audio Damage has updated Axon, the Neuron Sequencer/FM Percussion Synthesizer plug-in, to version 1.1.0. DSK Music SF2 DSK Music has announced the release of SF2, a free SoundFont player VST instrument plug-in for Windows.